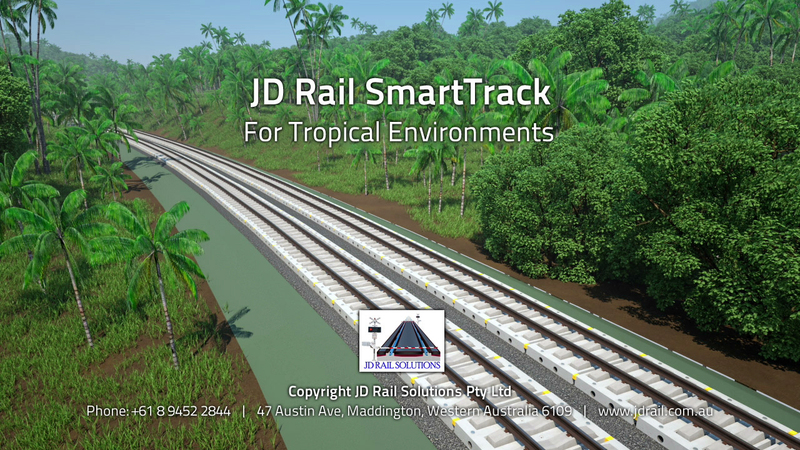 JD Rail Solutions has invented a unique solution that deals with the various problems with installing railway tracks in tropical environments. The innovative SmartTrack™ design fundamentally deals with issues of water dispersion, mud pumping, track cooling, while lowering maintenance costs. For more information contact us on +618 9467 4000.